Believe it or not Luna drools more than I have seen from most Vizslas… Especially if outside running and sniffing with few water mouth wash downs. I love both shots, great lighting and composition. Not much you can do about the drool, maybe teach him to go get you a towel? I always said I would do that if I had a dog that drooled a lot. My black GSD Llyr is a HUGE drooler .. the kind where the kids SCREECH and yell GO AWAY LLYR… my favourite is when he is running around drooling and goof that he is, ends up with drool festooned all over his head and nose … lovely – and you know what? I kiss him anyway! hahah!! the first picture is awesome. I’m known to be quite the drooler, too. Don’t ever feel bad about doing it either! I leave puddles whenever I wait for my kong. I leave a trail across the kitchen floor after getting a drink. I even have some pretty, shiny ribbons super high on the walls almost to the ceiling. Us droolers gotta stick together! 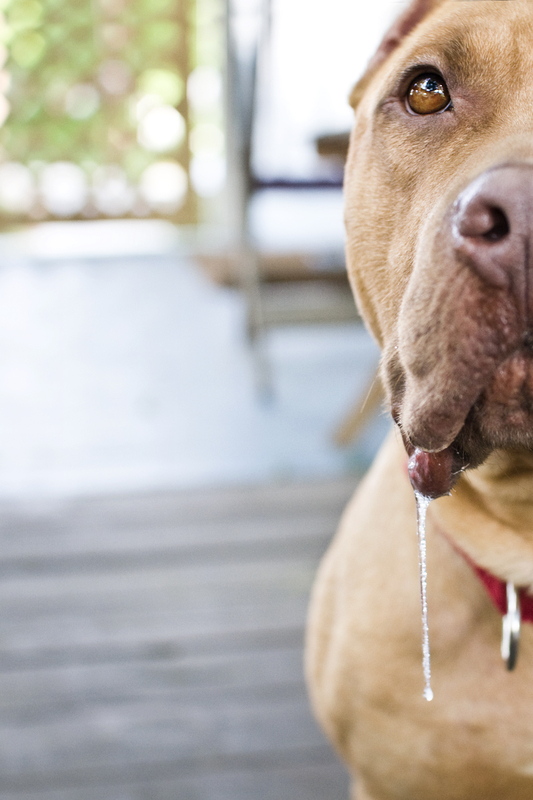 Gotta love those big, drooly dogs! Shiva only drools when she thinks she’s getting something to eat. It’s so funny and always makes me feel bad for her so I give her whatever it is she wants. Very sneaky, I think. Tank has the cutest drool I’ve ever seen. 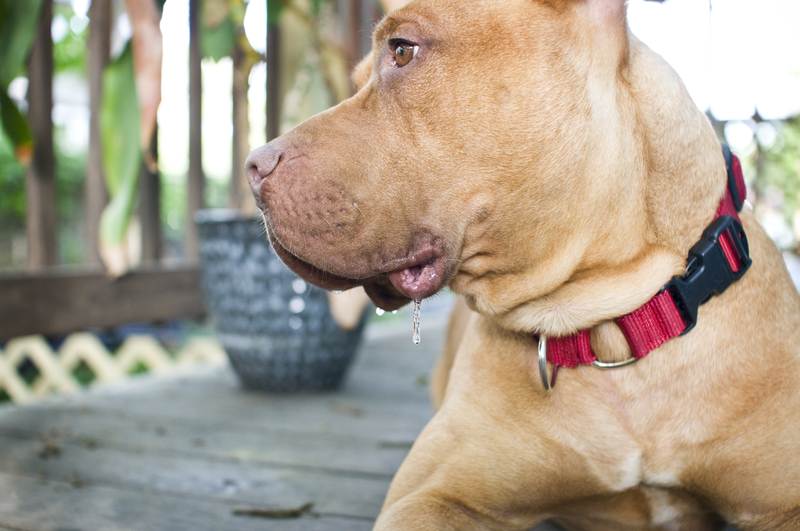 Drool is the sign of the most awesome of jowls. And Tank has handsome jowls. Jowls are the best. Plus, the purpose of jowls are to collect drool and slobber so that it might be distributed at a moments notice on the nearest and dearest object. We grew up with Bassets, so I had completely forgotten about drooling. I do like the comparison of his drool to the lipstick kiss by grandma. Is she making you go to Drool Aonymous? Oh drool monster! You learn to have a rag/towel/napkin handy to fight the drool. He’s got what I call the “flabber jabber” in great portions. I always love your photos but that portrait of Tank at the top blew me away. If I wasn’t planning to downsize my home soon, I would buy that photo and put it on the biggest wall in the house. Excellent! Look forward to reading all about Tank’s drooly adventures. BAH!! We had a Brazilian Mastiff at one point that used to leave shoelaces on the ceiling. His crate was near the glass slider in the kitchen and cleaning off the drool became a daily ritual. One shake and you had to duck and cover. Silly boy. I understand completely. LOL! TANK is a drool machine! Drool or not, he is one handsome dude! TANK has elevated the drool into an art form. I continue to be impressed with his beauty and talents. Love the pictures! And the descriptions are so vivid, I feel like I got some of TANK’s drool on me!! My Norman (corgi) leaves quarter-size puddles of drool all over the hardwoods when there’s food coming (his or mine!). I’m wondering what Laila thinks of her new foster brother. Can’t wait to hear. What an amazing pic. Love it! OMG- Tank IS just like Betsy! Deanna, I wish I had video of TANK — then you would really see it. There is something in his lion-like movements that is very Betsy also. Please give that sweet girl a smooch for me!